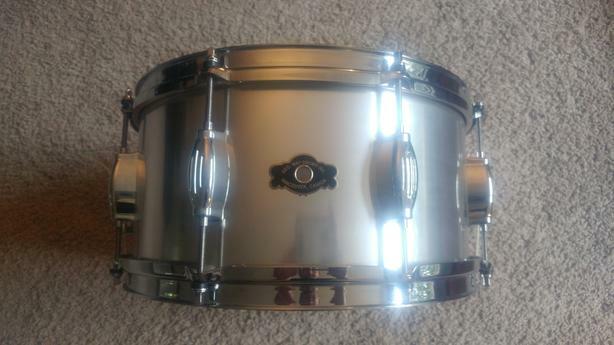 George Way "the Aero" snare for sale. This is a 13 x 6.5 thin aluminum snare. Fantastic sounding snare. But unfortunately I just don't use it enough to justify holding onto it. 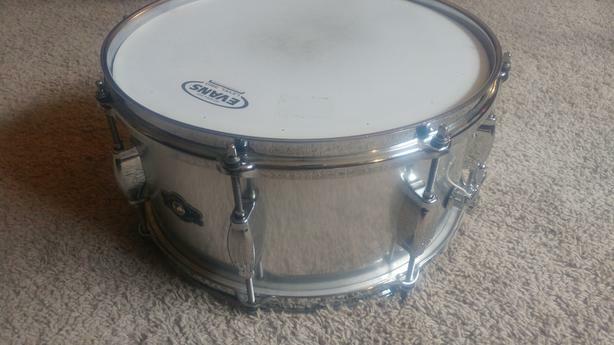 Selling for $400 OBO or a trade for a 14 x 6.5 or deeper snare.